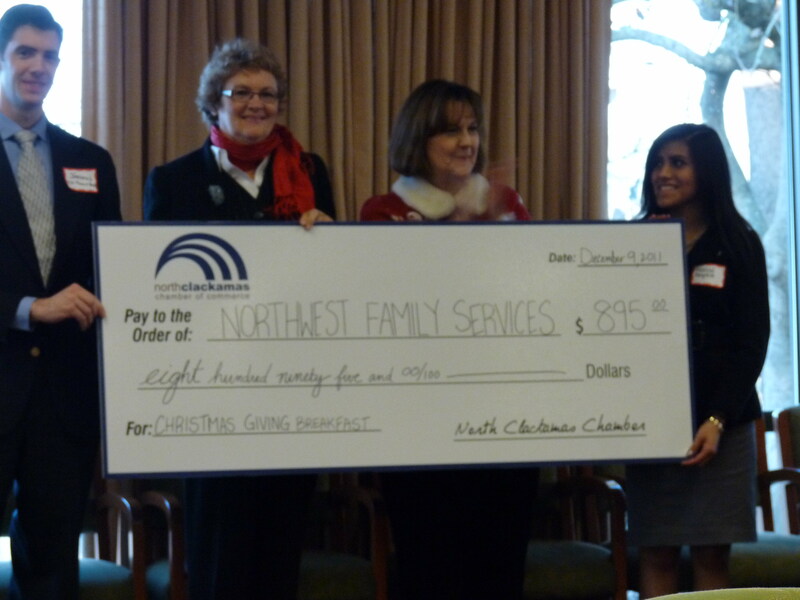 Friday morning, December 9, at Willamette View Manor in Milwaukie, Northwest Family Services was honored as the recipient of the 2011 North Clackamas Chamber of Commerce Christmas Giving Breakfast. We were awarded a portion of the ticket proceeds for the event by the Chamber in total of $895, and also received a special gift of $750 from Supply Source, Inc! Thank you Chamber Members and Supply Source!